Heat an outdoor BBQ and chop all the ingredients into 5cm pieces. Thread skewers by alternating the ingredients. Brush the skewers with Italian dressing using a large pastry brush or just rub on with your fingers. 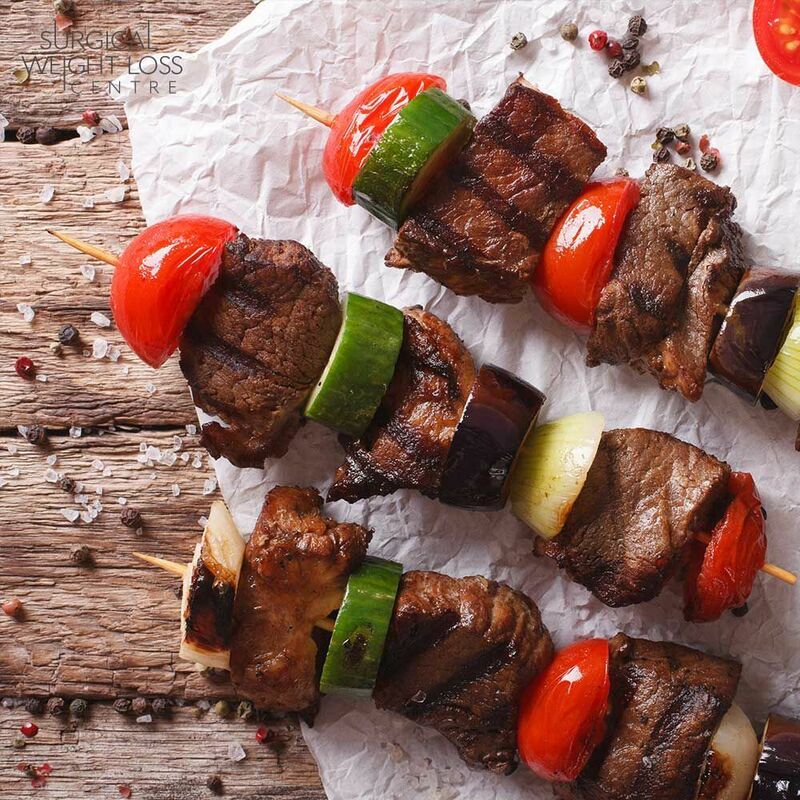 Grill skewers for around 8 minutes per side (medium rare) checking often and remove vegetables at desired doneness. Serve warm with a fresh side salad.